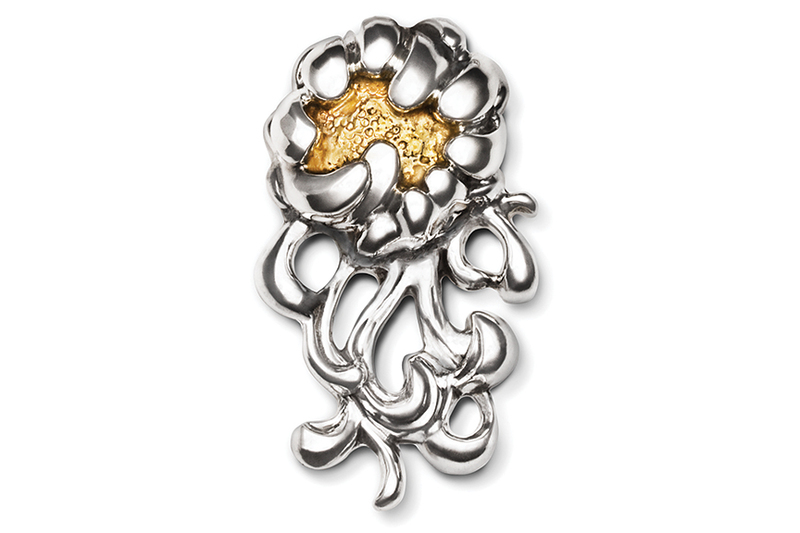 The stemmed Peony Pin is our most versatile piece, with ravishing sterling petals and a textured gold center. As a pin, the stemmed Peony can be worn on a blouse, blazer, dress, scarf or evening purse. Add it to your own sterling chain, and you have a wonderful necklace perfect with open neck blouses, turtlenecks and classic necklines alike.